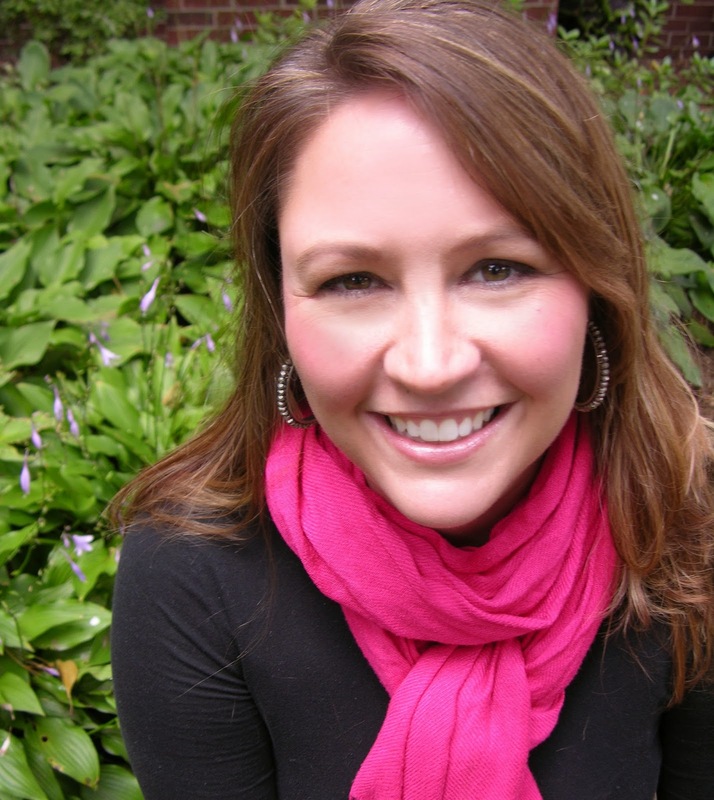 LUCY BURDETTE: Is there anything more special than a debut novel? Not much! So when I met Heather Webb at the Big Book Club event in Old Saybrook, CT, last fall and heard she had a debut novel coming out in December, I asked her to join us. And she's brought some wonderful thoughts about the mystery of fiction. Welcom Heather! HEATHER WEBB: I write historical fiction. WAIT! Mystery readers, don’t run off just yet. Sure, I enjoy sparkling details of different eras—the frothy petticoats of a princess, a lamb bone used for buffing marble, steam cars cranked by hand—though these little gems may make historicals magical, they don’t make them INTRIGUING. A story’s intrigue boils down to the one thing the Reds and Red-loves can’t get enough of—mystery. My recently released novel BECOMING JOSEPHINE is about a young woman from Martinique whose world is turned upside down when her sister dies of fever. Distraught, she visits an island shaman for a glimpse into her future. The wrinkled voodoo woman gives her cryptic advice and voila! We have our first mystery. Will our heroine “be married in a distant land”? Will she “become more than queen” as the shaman predicts? Readers will turn pages to find out. Layering many, smaller mysteries in the story enriches a novel. For example, we already want to know if Josephine will become more than queen in some distant land. But once she’s there and meets her new husband, we want to know—will her new husband love her? Will she be accepted into Parisian society? Then the Revolution comes along and the big question becomes: will Josephine survive the violence? And how does she meet Napoleon anyway? Readers will turn pages to find out. Each multi-dimensional character brings their own story to the table; where they’re from, their backstory—how he/she came to be the way they are. When Napoleon shows up on the scene, he’s a filthy, intense little man with poor manners. Still, the way he seems to know what others are thinking, his brilliant strategist mind, and his passion make him a compelling character. This leaves us wondering about his origin. How does his past shape his personality? His actions? Will his actions thwart his goals? Readers will turn pages to find out. For good measure, I thought I’d share a few books I adore that are mysteries that aren’t mysteries. Say that five times fast. A Discovery of Witches by Deborah Harkness: What are Diana’s powers? Will she fall for Matthew? What is her witchy family’s past? Will she survive the attack from her enemies? Revolution by Jennifer Donnelly: How did Andi lose her brother? What will she uncover in that old diary from the French Revolution? Will she fall in love? Will she ever forgive herself? So yeah, I write historicals. But I chock them so full of questions, small mysteries and larger ones, that I can safely say, mystery readers might like them. After all, any genre, any GOOD book is a mystery. What are some of your favorite novels that aren’t mysteries? How did their intrigue keep you turning pages? Heather Webb is a freelance editor and contributor to popular writing blogs Writer Unboxed, Romance University, and The Debutante Ball. 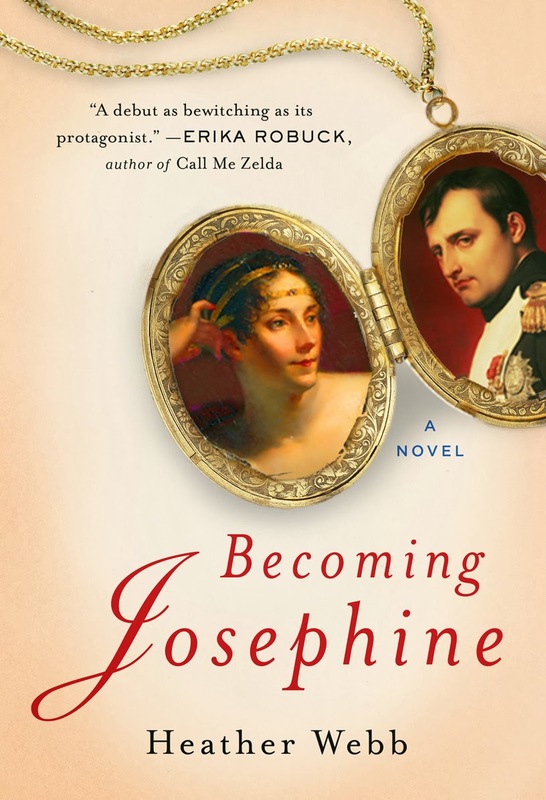 Her debut historical, BECOMING JOSEPHINE released to acclaim from Kirkus Reviews and the New York Journal of Books December 31, 2013 from Plume/Penguin. When not writing, Heather flexes her foodie skills or looks for excuses to head to the other side of the world. She loves to chitchat on Twitter with new reader friends or writers (@msheatherwebb) or via her blog. Stop on by! Congratulations, Heather . . . my to-be-read pile is continually teetering and on the verge of collapse, but I’m going to have to add “Becoming Josephine” to the stack anyway . . . .
As for the mystery that isn’t a mystery, Isaac Asimov’s “Foundation” series. Really good science fiction . . . really good mystery . . . really good reading . . . . Questions and secrets are my favorite things, doesn't matter if the mystery is set now or in the past... and all those great details make the past come alive. Congratulations, Heather! There really is nothing that matches holding that first book in your hands. ENJOY! I've had your book on my "to read" stack and now I'm moving it up! I'm so happy to learn we seem to have the same love of history, travel, food, and off-beat (at least for the mystery community) books. Congratulations on your first novel!! This question you raise has been strong in my mind for a little over a year. As many of my fellow Redettes know, my first novel was a finalist for an Edgar Award. The thing is, it's not a mystery. So much so that no one in my circle - my publisher, editor, agent, publicist, etc. - nominated it. None of us can figure out how it got into the running. But clearly someone saw the mysterious elements in it: Will Irene find the temple? Will she discover her mother's secret? I was thrilled about the Edgar of course because I have long been a mystery lover, but now it makes me look at the mystery in every book I read (and write). For example, right now I'm reading Muriel Spark's first novel, "The Comforters," and I am loving the questions: Will Caroline figure out if she is living in reality or within the pages of a novel? Will Louisa's grandson figure out why there are diamonds hidden in the bread? And so on. I'm also reading numerous mysteries written by women in the 1950s, and I'm fascinated by how many are psychological mysteries rather than crime mysteries. You're so right, Heather - all good fiction must have the questions. The mystery must be there even if the book is not a classic mystery. I'm eager to read your new novel! Welcome Heather and here's to success with the book, which sounds fabulous. My favorite non-mystery books are those by Kate Morton. The Forgotten Garden is my absolute favorite and there is plenty of mystery in the plot. But then what book is not a mystery? We want to know what happens next, whether things will turn out badly for our hero. Hurray, Heather! And it looks fabulous. YoO must have done so much research..and I wish I could have seen your face when you first saw that gorgeous cover. Hamlet is a mystery, right? I always think about that. And we always talk about how "whydunnit" is as important as "Who"--because "why" is the most interesting question of all! I read Diana Henriques's incredible THE WIZARD OF LIES, about the Madoff scandal. Wow. And talk about mystery and intrigue and unanswwered questions, right? Thank you for all of the congratulations and comments! I love hearing about books that other writers love. Like so many of you, it means my book list is continually growing. And you said it, Hallie--there's nothing like holding that book in your hands for the first time. Kim, first of all, congratulations! What a wonderful honor. Your story is really interesting. It just goes to show you that the market is changing. I wonder when good books will just be that--good books, and not categories or genre-specific. Time will tell. Thank you, Heather. What I find interesting is how the "mystery genre" seemed to be very different in the mid-century. I'm reading the first Edgar award winner from the 1950s, and it reminds me more of Graham Greene than Agatha Christie. I feel like genres have gotten so confined because marketing has gotten so confined. I'm not sure how that will change, but here's hoping! And Rhys, I LOVE Kate Morton - she's the perfect example of what Heather is talking about. Hi Heather! So great to meet you here. Your book was already on my to-read list. And huge congrats on holding that first novel in your hands and seeing it in book stores. As Hallie says, there's nothing else like it. Whenever I give talks about plot, I always focus on "narrative tension," which is exactly what you've described. Any good novel is full of questions that the reader wants answered--must have answered! A central "mystery" just provides structure for all the other mysteries in a novel. Non-mystery favorite mysteries? How about Gone with the Wind? The Lord of the Rings? Deb Harkness's trilogy (I'm a huge fan, too.) I could go on all day.. Sounds great, Heather. Best of luck! Deb, I am SO thrilled that you liked my book. And I find it interesting what you say about the mystery aspect. I guess the marketing people at Random House got so gung-ho about pushing the book as a literary adventure that the mystery angle was lost to me. When I look at the book now I think, well, of course it's a mystery - but I didn't set out to write a mystery. I just think that was a matter of having no choice, since mysteries are what I love and mysteries are what I read - how could I write something that wasn't a mystery. Not sure if that makes sense :) In any case, it's interesting because I will be much more conscious of the mystery aspects in my next Asia novel. And I'm really enjoying working with more traditional mystery elements in my new series. As for your books, I've been making my way one by one through the Jungle Reds, and you're up next - I'm so excited. Reading the descriptions of each one, I've been salivating. Though I'm a little worried - I'm afraid once I get into Gemma and Duncan, I'll disappear until I've read every volume! Heather! Fabulous to see you here! And I totally agree about the layers of mysteries, big and small. I remember Elizabeth George talking about this as it pertains to suspense. To keep suspense going you must always have open-ended questions. And if you get stuck in the first draft, check to see if you closed down too many of your questions too early. Someone once asked me if I could write a romance without a mystery--and I said--really without thinking --"What would the characters DO?" Yes, Lisa, that's terrific advice. I'm going to copy Lucy and put that up on my bulletin board. Wow, Heather, you put into words so eloquently what makes a great read for me. "Layering many, smaller mysteries in the story enriches a novel." How I love layering! And, then, as you state, the converging of all these layers and stories to connect into a grand finale. That every good book is a mystery is such an astute observation. Bonus--your wit in the article. Now, I will have to add your book to my short list of TBRs. Congratulations on your debut and what I predict will be a stellar career! Oh, I forgot that you asked what were some of our favorite novels that aren't mysteries, Heather. One that comes to mind for me is Lori Lansen's The Girls. It is a tale about conjoined twins who are nearing their expected lifespan. The story is told in alternating chapters by the twins, and there is indeed mystery there, wherein ordinary becomes extraordinary and vice versa. Also, the historical fiction novels of Alan Brennert about Hawaii contain great layers of mysterious events. Kim and Lucy -- I know, great pearl of wisdom, right? Blew me away when I heard it. Light bulb -- on! All interesting and on point -- your piece, Heather, and all the comments. But I am "dying" to ask about the lamb bone to polish marble! That's a mystery to me. Please solve that for me. Maybe I'm the last to hear of it? I look forward to reading your book. I teach a seminar on adding suspense to stories - although after reading Deb's post, I may start calling it narrative tension! The ultimate goal of any story - even narrative nonfiction - is to keep the reading exclaiming, "What happens next?" As for a non-mystery mystery, I have used MAJOR PETTIGREW'S LAST STAND in that same seminar. Will Major Pettigrew get the mate to his Raj-era pistol? Will Mrs. Ali be forced to relocate to her in-laws'? Will the community stop the unsightly ALL MOD CONS development? So much suspense! Julia, I LOVED Major Pettigrew! What a great example! Ohmygosh! Hi, Heather! I think we may have shared a cab on the way back to Grand Central after a Donald Maass workshop several years ago. Of course, I may be mistaken because we'd just come out of a grueling, fascinating day that scrambled our brains. Anyway, congratulations on the debut of BECOMING JOSEPHINE! Sounds like you got that "tension on every page" thing working :) WooHoo! me too on Major Pettigrew--loved that book! I wish the site had a "reply" button to each comment. So much good conversation here! Rhonda Lane--yes! We did share a cab. LOL. I went to another of his workshops and also presented at the last Backspace. Did you attend that one as well? Lisa, fellow Deb, love the advice from Elizabeth. It's so true. If we can't move forward, too many questions have been sewn up. I find, also, that when I'm stuck it's because the scene lacks conflict. There may be a goal of sorts, but without conflict a scene is flat and boring. As a hisfic writer, this usually means I need to research and find something to stump my character. Hank--I agree. I like romance novels, but there either needs to be suspense/mystery, an adventure of some sort or a heavy historical element or all of the above, re Diana Gabaldon! Thank you for having me on, Reds. This has been a blast! Hi, Heather - I haven't been to a Backspace conference since we left that midtown hotel all blinky and Maassified. :) Anyway, so psyched to hear you presented at Backspace! Wow! That must have been a thrill. I'm sure I'll catch you at some other event. :) Rock on! I am currently reading Playing With Fire by Cassandra Bella. It's got those elements, the suspense, mystery and the romance. It's a great read, cassandrabella.net is her site. Might be worth a look see! Can you pass up a free drink? I hear Music but there's..
Where Y'all From? Wanta Soda? Terry Shames--How Much is Too Much? George Fong, FBI, with thoughts on civility. Surprises! Thoughts for the New Year.